Our approach to Physiotherapy is both proactive and progressive. Treatments that deliver results. We treat a very wide range of conditions from sports injuries, work related aches and pains, pregnancy pain, pre and post surgery rehab, degenerative and auto immune conditions. Deep tissue, Sports and Pregnancy massage. The massage therapists are very experienced and will identify problem areas as they work. Conditions such as fibromyalgia, headaches and fatigue treated as well as general deep massage..
Do you need to see a podiatrist? Many conditions such as back and neck pain can be a result of having poor foot biomechanics such as flat feet. Musculoskeletal Injections: Jo Gardiner is a Chartered Physiotherapist, fully qualified in Muscoloskeletal injections and routinely injects joints for consultants. Fully licensed. We are physiotherapists that are also trained in the practice of acupuncture. We are practitioners are members of the Acupuncture Association of Chartered Physiotherapists (AACP). The physiotherapy and sports injury clinic is based in the heart of Didsbury in South Manchester. 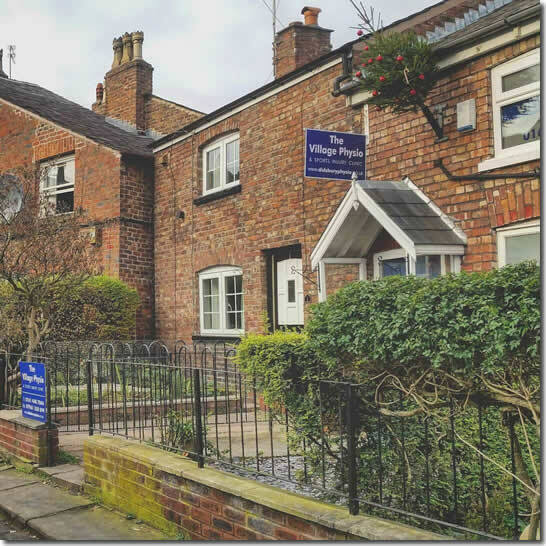 There is ample parking close to the clinic as well as being on the main bus routes and a 2 min walk to Didsbury Village tram stop. The physiotherapy and sports injury clinic is based in the heart of Didsbury in South Manchester. There is ample parking close to the clinic as well as being on the main bus routes and the soon to open tram network. Deep tissue massage. The therapists treat a wide range of patients including pre and post event, postural muscle pain, ME, lymph drainage. Meet our team of fully qualified Physiotherapists and massage therapists, our professionalism and experience is reflected in our online Google reviews. To make an appointment for a physiotherapy assessment, just ring 0161 448 7844 or contact the clinic directly through this website.